The Super Bowl is this Sunday and if you are hosting a get-together, you definitely need to have something to nibble on during the game! 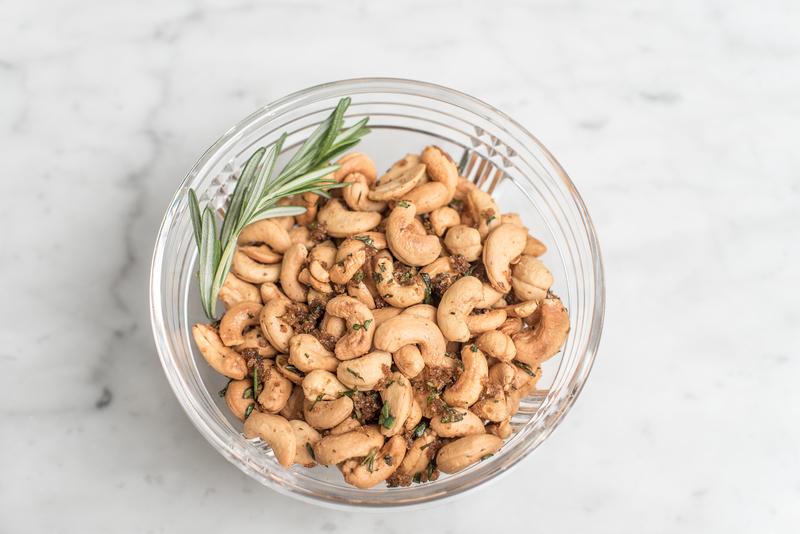 These Rosemary Cashews are delicious and a favorite in our house – my mister is obsessed. This is the perfect game time snack – enjoy! 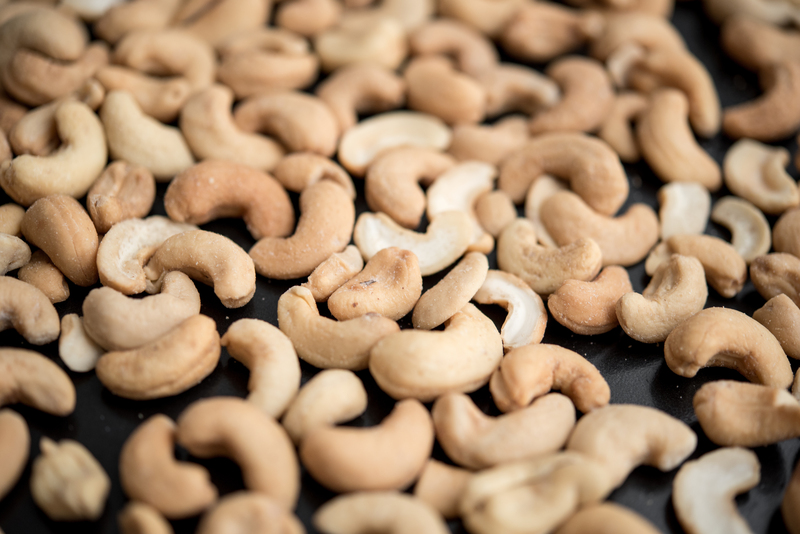 Preheat oven to 375 degrees F. Spread out cashews on baking sheet; Bake until warm – about 10 min. 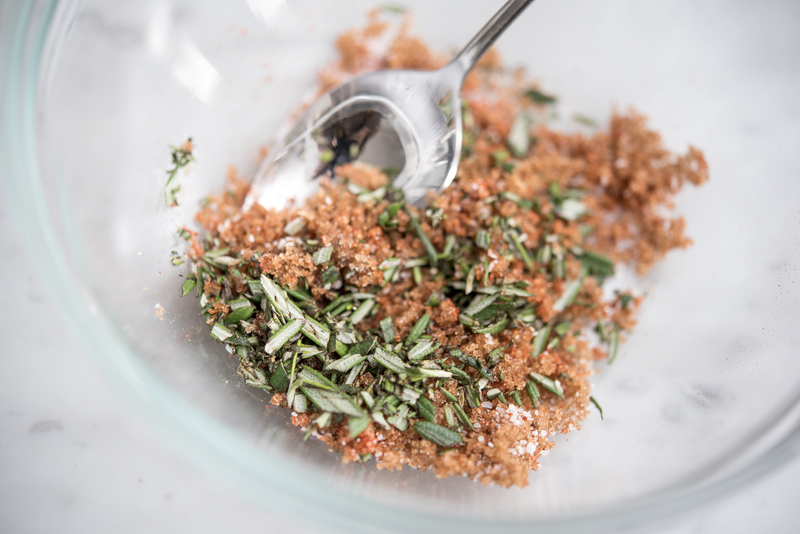 While cashews are roasting, in a bowl (large enough to fit the cashews in) mix together cayenne, brown sugar, rosemary, salt and butter. 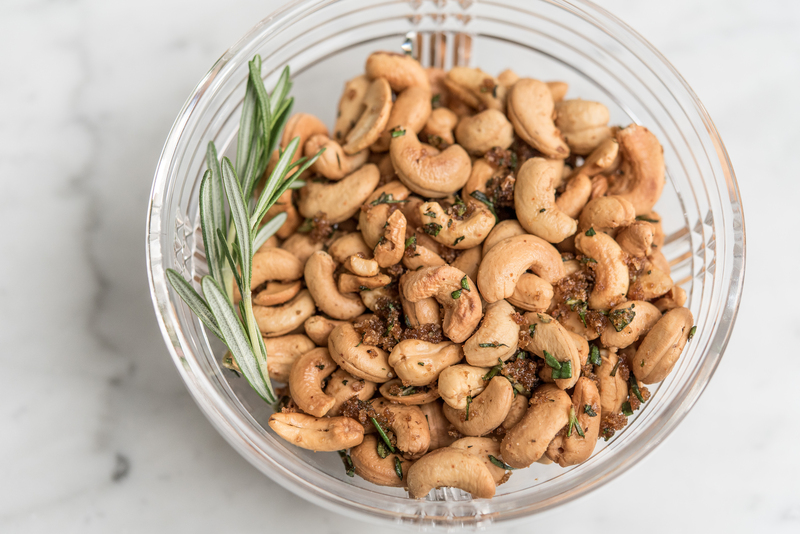 Remove cashews from oven and toss in mixture to coat.